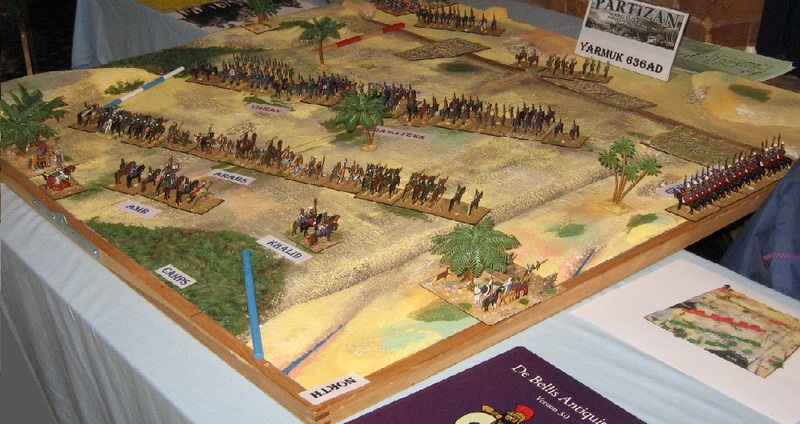 Shows North attended Partizan on behalf of SoA and L&L, and took along the prototype DBA V3 scenario game of Yarmuk. Yarmuk was the cataclysmic battle fought out East of Damascus between the rising power of Islam and the formerly dominant regional power of Eastern Rome (the Byzantines). 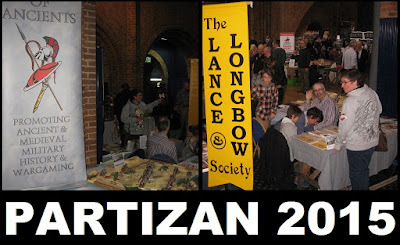 This is a development project in its final phase and enjoyed a first public outing. The game represents the significant cavalry battle on the Northern flank on the penultimate day of fighting. Above shows my interpretation of the historical deployment. 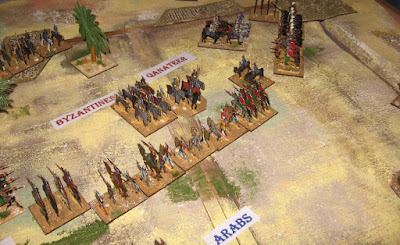 We pick up the battle narrative when the Arab cavalry reserve makes its surprise appearance behind the Byzantine position. 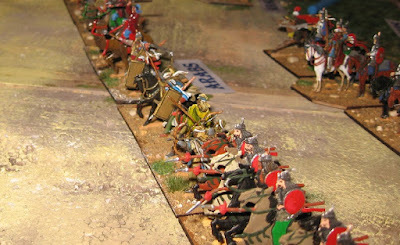 The Arabs must hold the line long enough for their elite force to swing the battle. 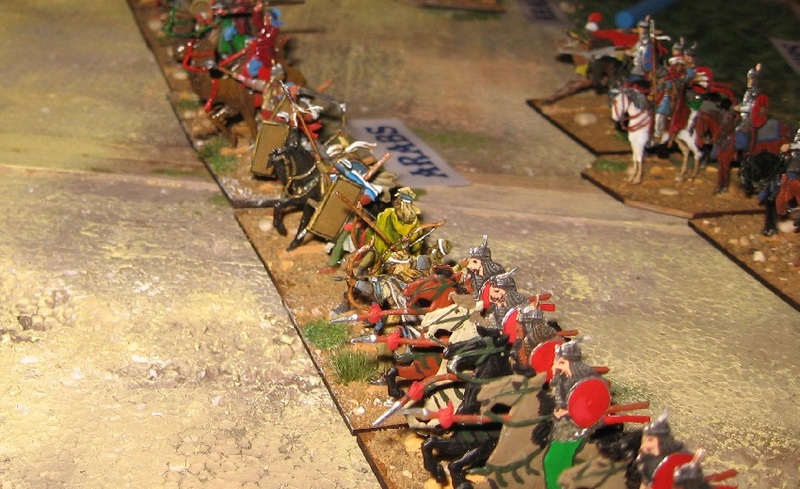 Unfortunately, Pips (and the threat to their flank) meant that, in the game, the Byzantines were not able to attack all along the line and take the battle to the Arabs. 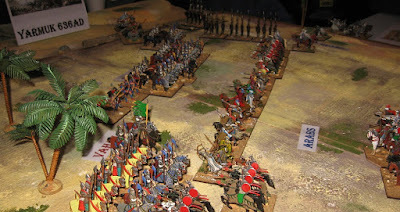 Poor dice rolls accelerated the pace and the Byzantine forces were quickly split up, surrounded and annihilated. 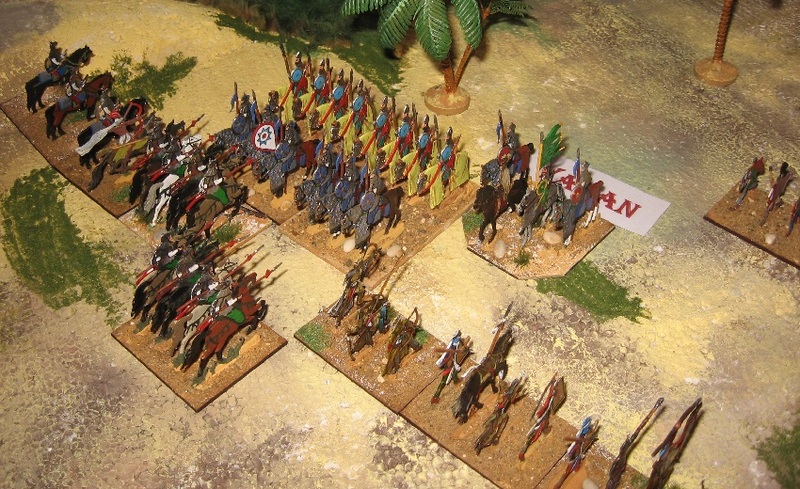 Vahan's senior army evaporated first, leaving Qanateer's Slav recruits assailed on all sides. The Slavs faired better only in holding out for a couple more turns but won few exchanges with the dominant Arabs. 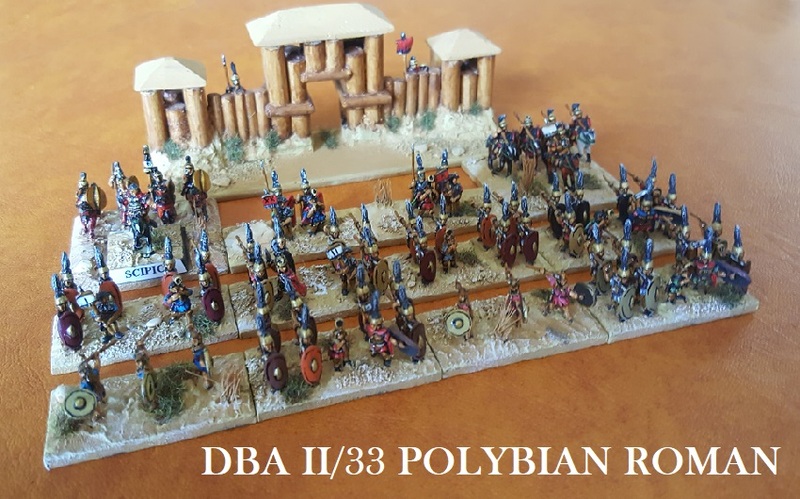 The battle was fought using adapted V3 armies (2 commands each, with independent break thresholds) and the scenario specifications will be published in a forthcoming book supporting DBA V3. Watch this space. 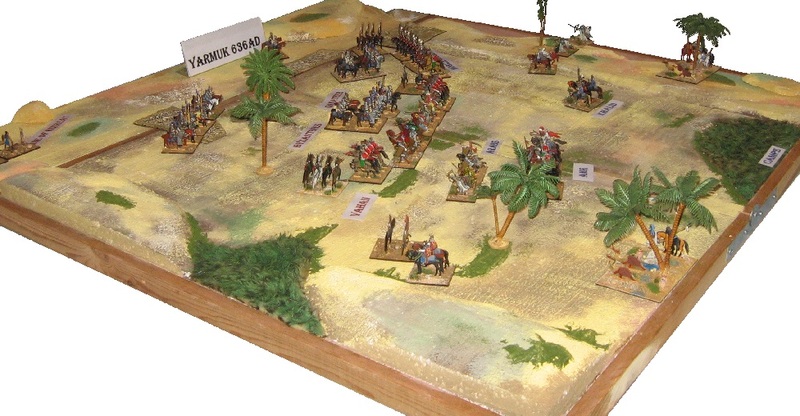 Both Byzantine commands were broken ... for the loss of 1 element of cavalry from Khalid's Mobile Guard. Our most emphatic Arab win in all the trial games - but on public debut, quite probably the most historical outcome. In 636, Khalid's cavalry manoeuvre completely outflanked the enemy and led to the destruction of Vahan's cavalry and reserves, cutting the army's retreat. 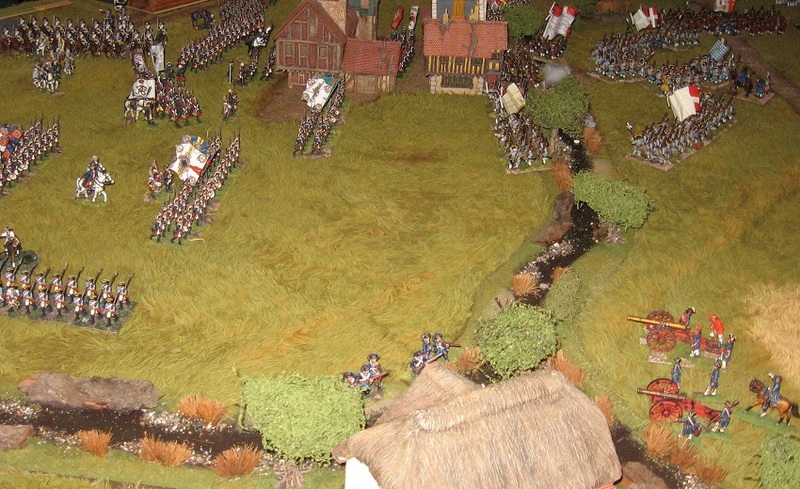 It went very badly for the remaining troops. 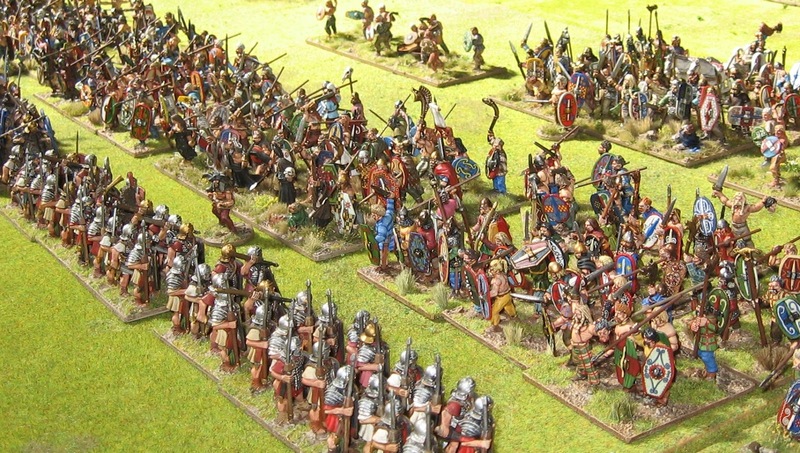 But top 28mm game, for me, was Simon Miller's To the Strongest presentation ... good rules, masses of figures, simple rules and people joining in. 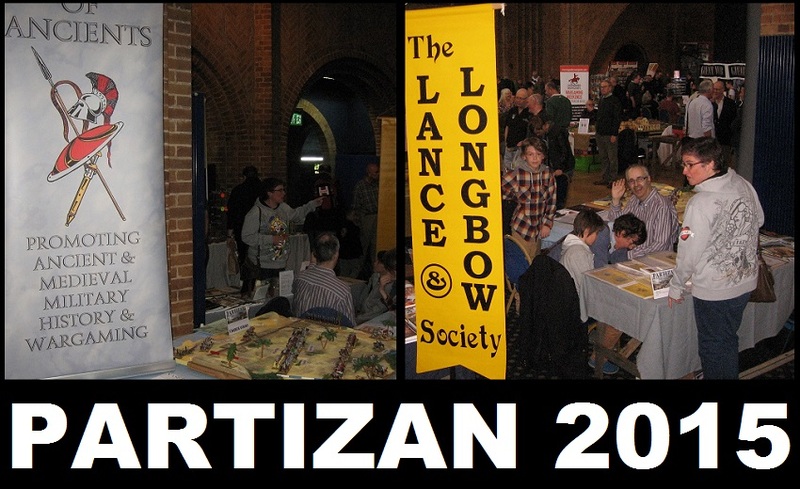 Partizan very much knows what it does best and caters to that audience. 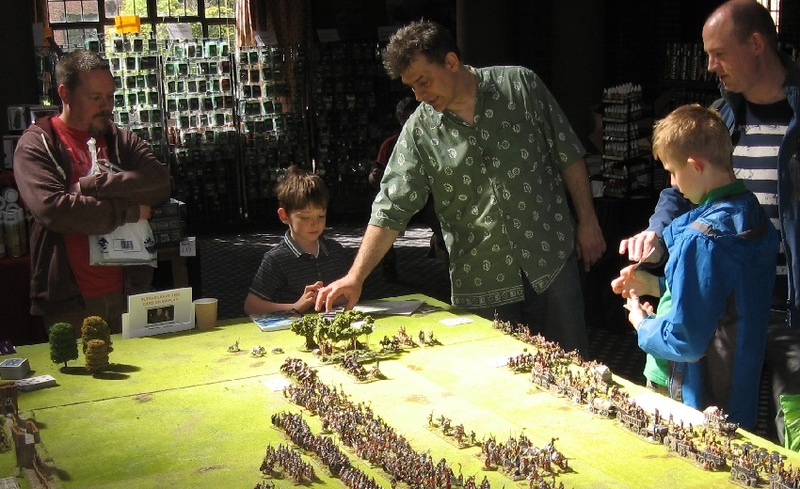 The lighting has never been great and Kelham Hall's catering has evolved over the years away from what wargamers generally hope to find ...despite which we had quite a few visitors over the day and everybody seemed to be enjoying the show. We're all looking forward to the next one. Thanks to the crew, hosts and visitors. Thanks for the kind words, Phil! 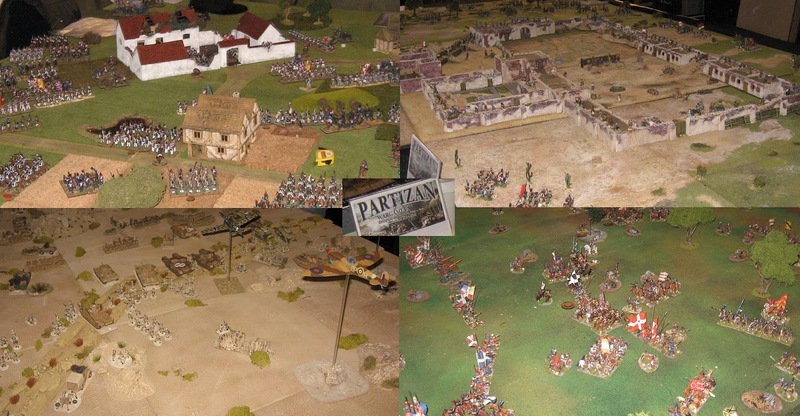 Partizan is always such a blast, we will miss it, shadows and all! 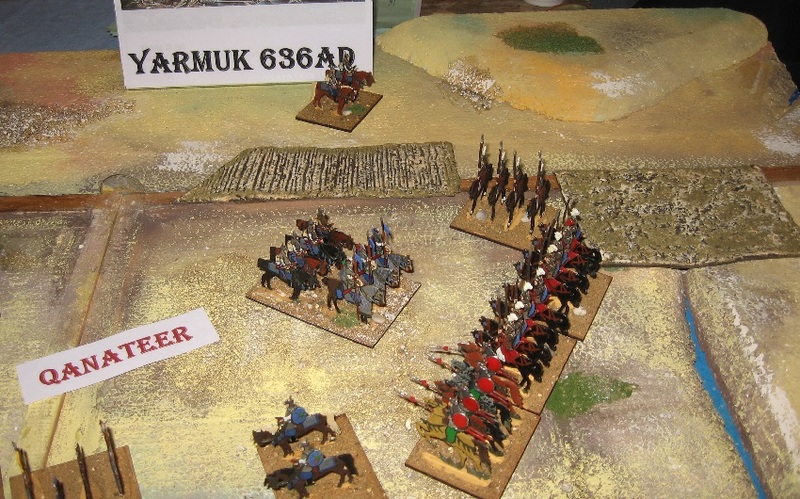 BTW I didn't get time to say that I thought your flats and Yarmuk looked really good. No problem Simon ... 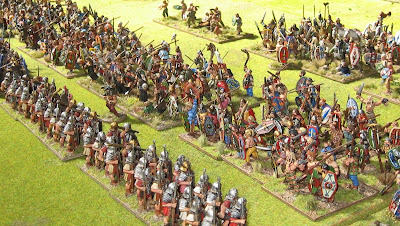 I thought the Roman game looked great ... appreciate you were engaging people with it all day long - and the feedback re the rules has been very positive. 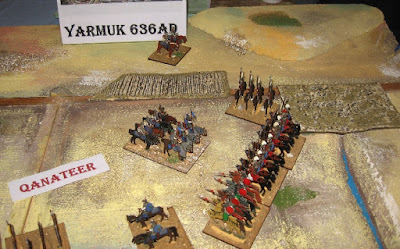 Yarmuk looks very good. In the 50th year of the SOA it is pleasing to see these veteran figures being used with the latest rule set written by one of the founding members of the Society. Yes TWR, thanks ... it is remarkable to think of the Society being 50 years old, now - and of the soldiers in the game have seen it all.